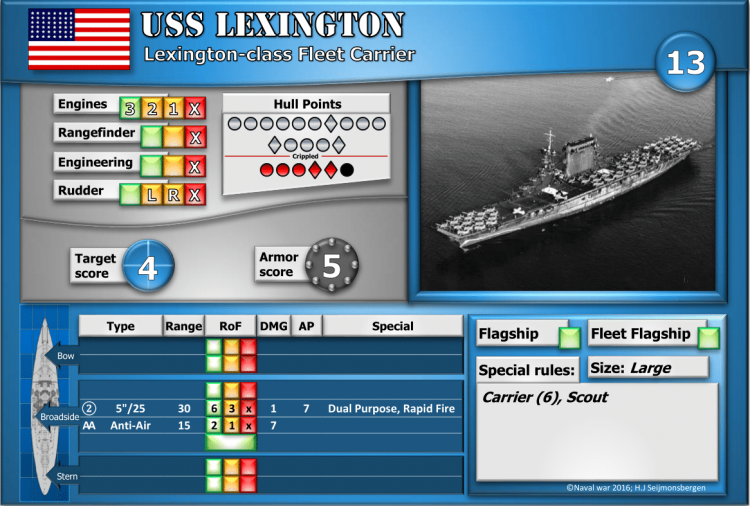 The Lexington-class aircraft carriers were a pair of aircraft carriers built for the United States Navy (USN) during the 1920s. The ships were built on hulls originally laid down as battlecruisers after World War I, but under the Washington Naval Treaty of 1922, all U.S. battleship and battlecruiser construction was cancelled. The Treaty, however, allowed two of the unfinished ships to be converted to carriers. They were the first operational aircraft carriers in the USN and were used to develop carrier aviation tactics and procedures before World War II in a series of annual exercises. They were the largest aircraft carriers in the USN until the Midway-class aircraft carriers were completed beginning in 1945.